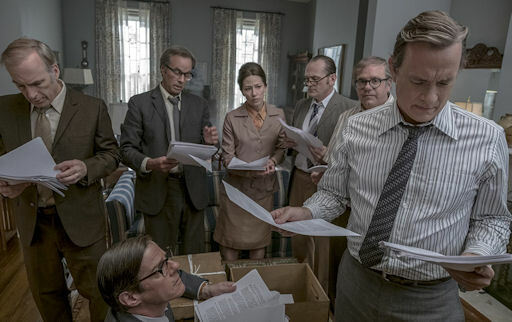 Review: The Post / It's Just Movies Review: "The Post"
Director Steven Spielberg missed the boat with “The Post,” a mundane re-enactment of the Washington Post’s history-making role in the Pentagon Papers. Part of the problem is the work of first-time feature screenwriter Liz Hannah and emerging co-writer Josh Singer. The dialogue rings of the glib exchanges that made Singer’s previous “West Wing” episodes perfect for pizza and beer, although it is hard to know to blame the shallow writing or the stars’ perfunctory performances. It could be that Tom Hanks and Meryl Streep simply wanted to get the whole thing over with. 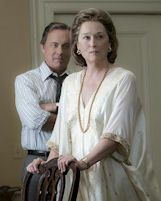 Streep plays Kay Graham, the newly-anointed publisher of the struggling Washington Post. Hanks plays executive editor Ben Bradlee. The Post was playing second fiddle to too many papers on the eastern seaboard and the 1963 suicide of publisher Phil Graham did not help. Control passed to his widow, who was under heavy pressure to fill his shoes. With the successful, and risky, publication of the Pentagon Papers and the subsequent Watergate coverage, she, and the Post, became legends. This is one of the great stories in newspaper history, too great for the treatment it gets in this movie. Spielberg, Streep and Hanks appear overconfident the story itself will save the day. The director seems to have passed the heavy lifting off to the stars who come across as smug and self-satisfied in the roles of two of the strongest people of the decade. Bob Odenkirk, playing Post newsman Ben Bagdikian, is the only glimmer of excitement. He wheels, deals and hustles his way into becoming a confidant of Daniel Ellsberg (Matthew Rhys). In so doing, Odenkirk steals the show from the leads. He is the only person in the film who works up a believable sweat. The cinematography, sets and costumes are, as one would expect, perfect, but this perfection only heightens the slickness and lack of sincerity that torpedo the lead performances. The dialogue is set in the daily chaos that is fast-lane news but the exchanges sound like quotes from a history book. There are no mistakes, no near meltdowns and not even a hint of any moral or ethical failure. One expects the publisher and editor to hit the streets after work, steal from the rich and give to the poor. On the good side, the film contains an excellent and darkly humorous scene where Ellsberg makes copies of the highly classified records of the Vietnam War. This not the genius hacking of security codes, the complex assemblage of computer files and the lighting fast transmission of pushing the “send” button. He copies the top-secret documents on a Xerox machine. It is a lot of work. The copies are then carried out of the complex in his briefcase. Gutsy move, but the sleepy guards do not add to the tension of the movie. Let us hope this is a rebuilding year for three of the greatest names in motion pictures. I really wanted to like this one so much more than I did.